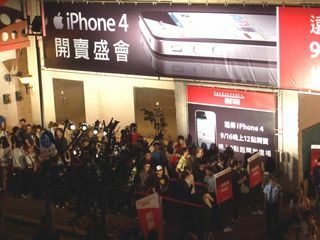 The iPhone 4 has been launched in Taiwan a few days ago and, according to Focus Taiwan, it set a local sale record. The numbers are: Far EasTone sold 3,000 iPhone 4. Taiwan Mobile sold 600. Chunghwa Telecom, restricted the initial sale of the device to just 400 pre-order clients. Source: Focus Taiwan: IPhone 4’s Taiwan debut sets local records.